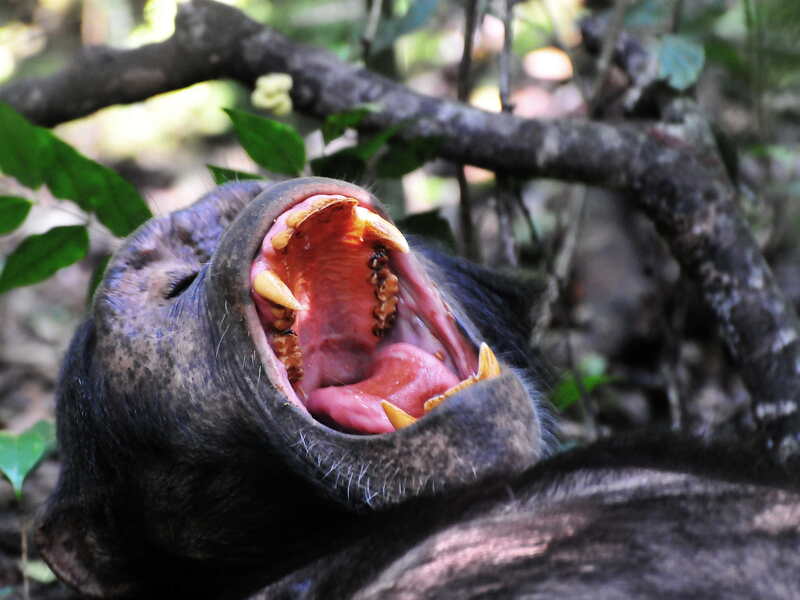 In fact, Kibale Forest National Park, 77,600 ha, connects to Queen Elizabeth National Park to form 180km of continuous protected lands, while Rwenzori Mountains National Park and Semuliki National Park and Toro-Semliki Wildlife Reserve are within an hour's drive from the park. 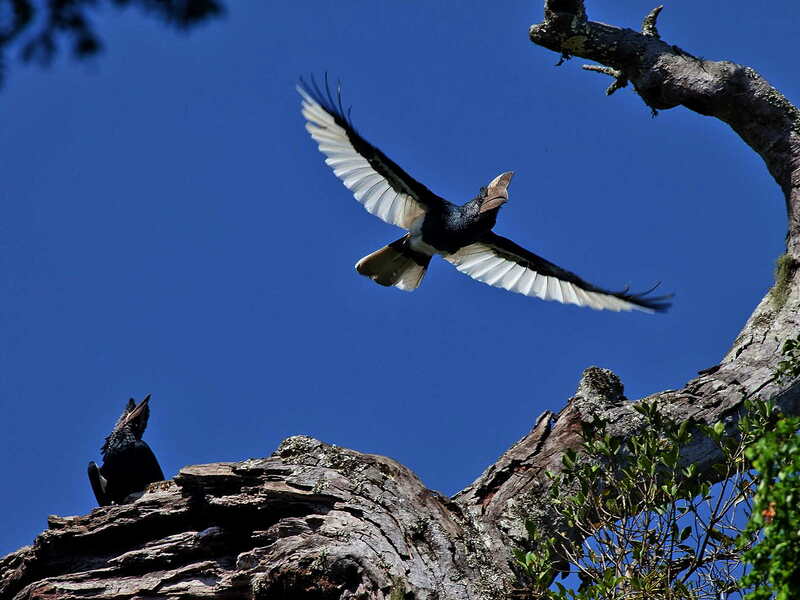 Gazetted for protection in 1932 as a logged Forest Reserve, it was formally established as national park in 1993. Located on a plateau between 1,100m and 1,600masl the park is covered with some of the last pre-montain - mostly evergreen - tropical forests, interspersed with with patches of grassland and swamp. Since the park was created logging has ended and many non-native trees - like eucalyptus - have been removed, allowing the native forest to gradually grow back to a natural semi-primary status. 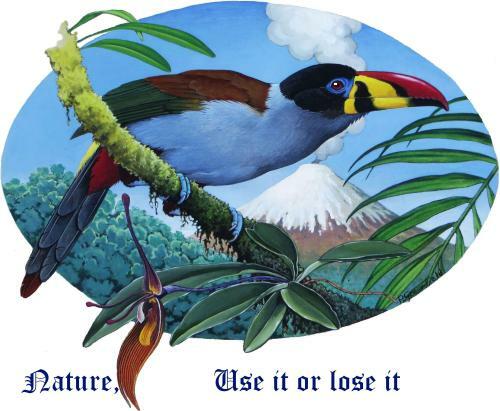 In spite of previous logging, the park still is incredibly rich in both flora and fauna. At least 250 species of trees are known form the park and as many as 70 mammal species call the park home. Wild Robusta coffee still survives in the Kibale forests. With 13 species of monkeys, Kibale National Park is one of the most primate-rich parks in Africa both in species and in total numbers. 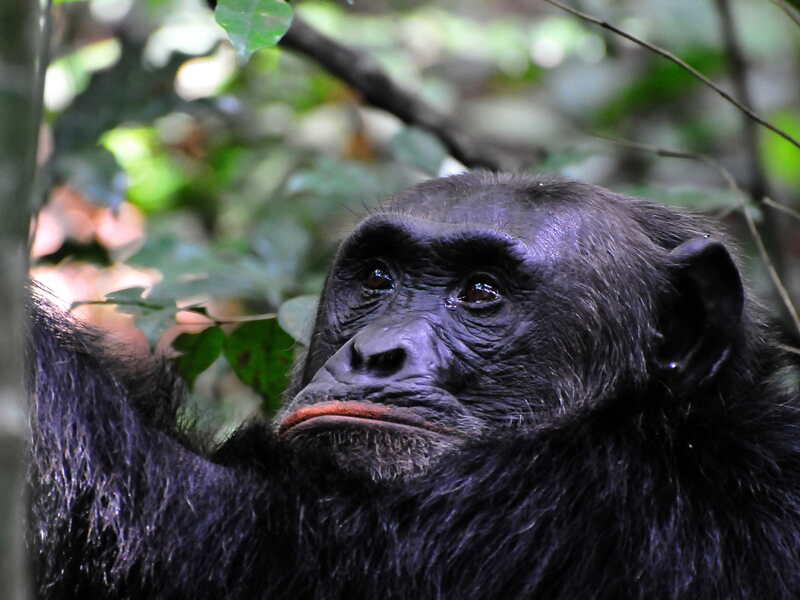 There are several well-studied groups of chimpanzees, while other money species include the Uganda mangabey, Lophocebus ugandae, the Ugandan Red Colobus, (status: Endangered), Procolobus tephrosceles, the L'Hoest's Monkey, (status: Vulnerable), the Black-and-white Colobus, Colobus guereza and the Blue Monkey, Cercopithecus mitis. 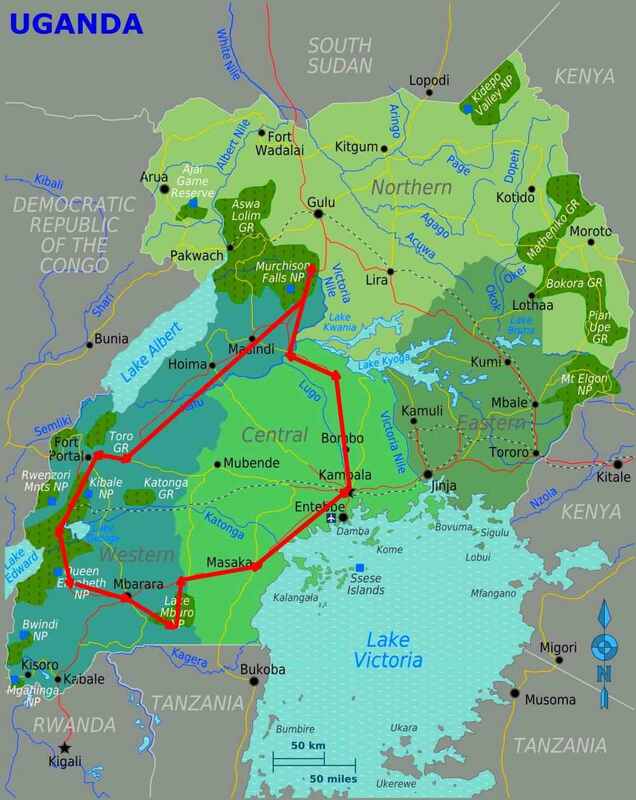 Herds of Elephants roam Kibale and Queen Elizabeth National Parks. 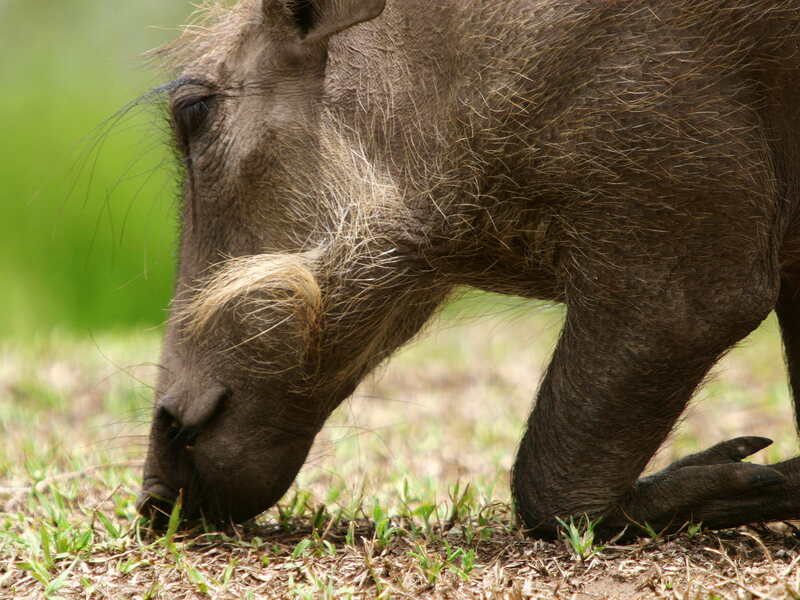 Other mammals include Red and Blue Duikers, Bushbucks, Sitatungas, Bushpigs, Giant forest Hogs, Warthogs, and African Buffalos. Important preditors besides Lions are Leopards, African Golden Cats, Servals, different speices of Mongooses and two otter species. Makerere University has a biological research station in the park. 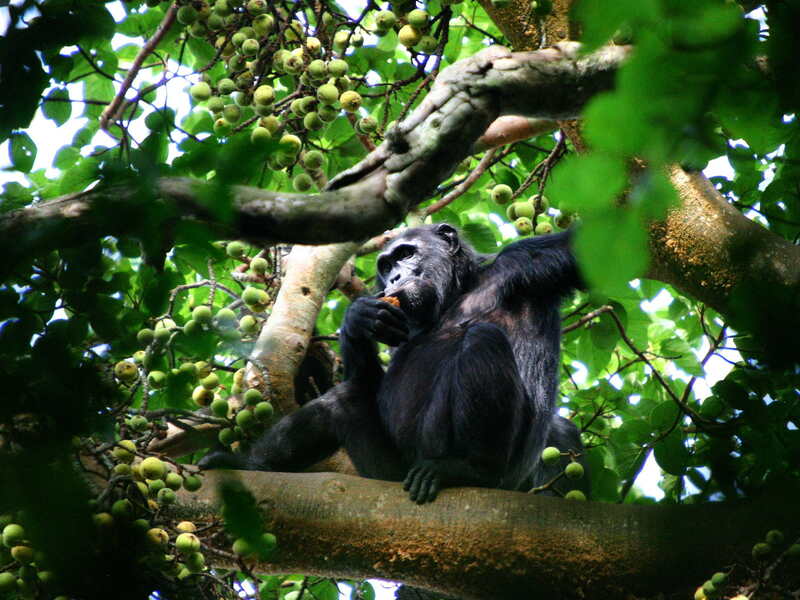 Activities in Kibale Forest National Park include very exiting Chimpanzee tracking. The birdlist of the park peaks at 375 species, which includes the Olive Long-tailed cuckoo, the Western Green tinkerbird, African and Green-breasted Pitta and the African grey parrot, while the Ground Thrush, Turdus kibalensis is endemic to the park and its surroundings. 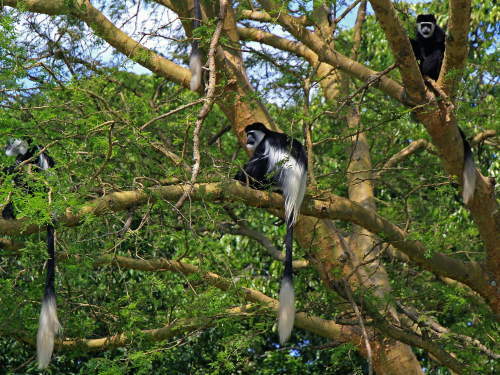 Black and White Colobus Monkey is one of 13 primates of the park. Black and White Casqued Hornbill Flying. Chimpanzee reflecting about the importance of visitors in the park for his well-being. 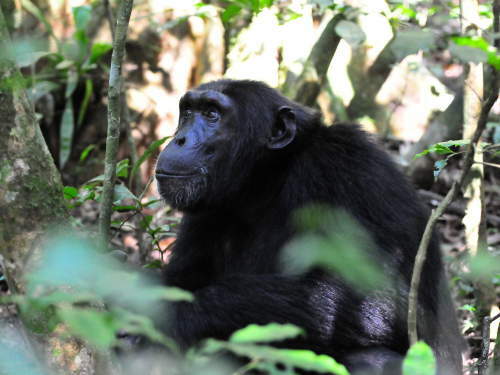 Chimpanzee investigating a group of visitors on a Chimpanzee tracking in Kibale Forest National Park. 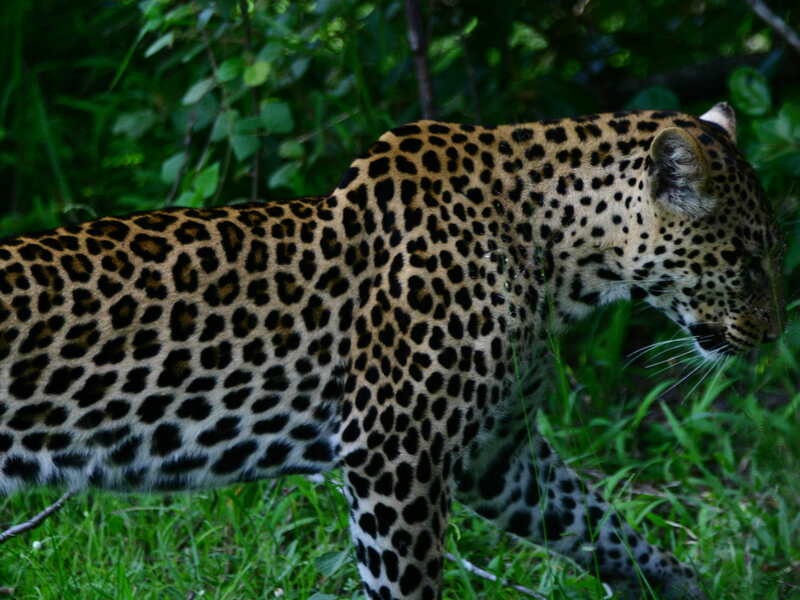 Panther in the forest of Kibale Forest National Park fact.